Based on ancient Chinese art of Qigong, this for sure is one of the most efficient methods you can meet with. Free of fluff, overall discussions, theory and philosophy, it is powerful, result oriented and proven to provide one with life energy reboot / restoration program. This surprisingly simple but very effective method is based on traditional Shaolin Temple acupressure, methods of manipulation with meridians (life energy pathways) and simplicity of use. Once learned, this method is going to provide you with full benefits of incredibly strong life energy revival – fast! In simple five minutes’ (an average length needed for performing one cycle) your body and mind are going to start experiencing another level of well being. 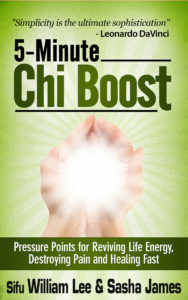 Once you become familiar with process and each time you apply 5 min Chi Boost program, benefits of unblocked Chi flow (life energy flow) will manifest more and stronger. Most of us today suffer from time shortage. 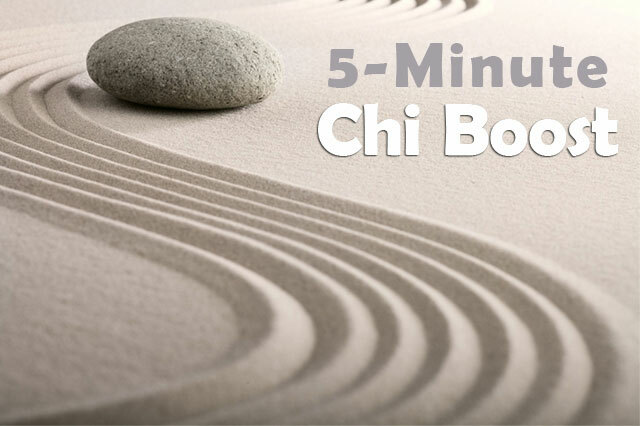 5 Minute Chi Boost Program (just like Amazon best selling book written by Sifu William Lee and instructor of this course Sasha James) is providing you with everything you need in order to unblock Chi flow with ease and efficiency. This book presents really one of the most practical and useful guides about fast application of the Qigong methods. This course gives you even more! We all know – book is only a book. On a workshop, time really pays off! Getting direct insight, a live experience of anything that interests us is normally providing us with a lot of different experience. Getting direct insight into the subject matter that interests us is normally crowned by results that are much more useful to us from the results we get from simply reading a book. This course is well designed in order to explain, present and teach you all methods from A to Z.
enhancing professional / sport performance etc. In case You are healthy (or sufficiently free of health problems) but you simply would like to experience powerful boost of Energy, these techniques will greatly assist you. Best thing is, you can use these methods practically anytime & anywhere. Just like over the centuries, this knowledge is transmitted directly from the teacher to student in order to avoid any possibility of alteration and misunderstanding and so maintain the highest level of quality and efficiency. If you apply and participate in life similar or you decide to use a home study course nature and form of teaching is identical with obvious difference in ability to get clarifications and answers faster when face-to-face. Seminar are given by Sasha James, co-author of the well-known book and personal disciple of Sifu Lee. Course is divided into 2 parts that normally last ~ 8 hours in total. Normally we divide seminar in two parts. Each part consists of three 90 minutes sessions, with breaks between and additional time left for questions-and-answers session. Powerful life energy Boost method that help you deal with all issues listed above! Practical insights & knowledge about Qi (Chi, Prana, Life Energy) . Complete knowledge about this efficient method of reviving your life energy. All benefits + ability to deal with and handle all issues and conditions listed above. Inforgraphic (poster) with all exercises for easy remembering and learning. Access to video that will make sure you don’t forget everything you learn. Due to various practical reason, organizing high-quality environment where qualified instructor meets highly interested group of people in order to help them understand and apply correctly 5 minute Chi boost techniques, can’t be achieved very often. Depending to availability, we organize about 4 seminars during calendar year, mainly in Germany, UK and Czech Republic (as far Europe is concerned). Part ONE and Part TWO will cover ALL techniques and methods. Best is to participate on both workshops but even if you can be only on one, you will be able to use all Energy Boost and recovery methods with ease. Price for Complete Course is 108 € (~ 2900 kc) payable via PayPal or any type of credit card. 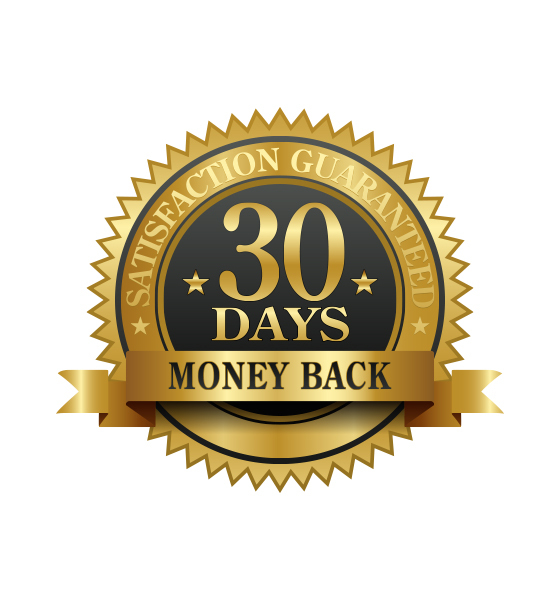 We offer unconditional, 30 days ‘no question asked’ money back guarantee! If you are not satisfied from any reason, we are going to refund your payment, simple as that! HOW to REGISTER: Fill up this Application form – you will receive email conformation and all necessary details + You will be led to secure payment form. You can use your PayPal or credit card. Due to practical reasons and high demand only sure way to reserve your spot is to fill up the application and proceed with payment. ATTENTION: places on this even are extremely limited due to need of keeping high quality of work during the seminar. In case of interest, best is to reserve your spot right away. Please make sure you select 5 Min Chi Boost Program from the ‘Choose Your Program’ part of the application form. If for any reason you do not want to use this payment method, please email at supersoul.solutions@gmail.com in order to reserve your spot and we will email you account number for payment. 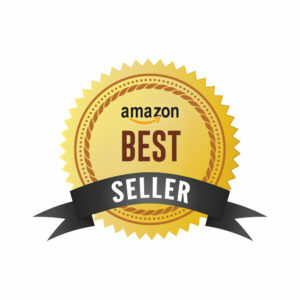 Take a look on some of hundreds of positive reviews that people are leaving as a response to reading of this book.